Jio DTH, as is being floated around on Internet, has been in news since last year after some alleged pictures of its set-top box emerged. Reliance Jio has been a hot topic since last year when it entered the Indian telecom market with its rock-bottom tariff plans that kicked in after six months of free 4G data and calling. The telecom upstart has always tried to offer data and calling plans along with other services at ultra-affordable price points to keep the incumbents such as Airtel, Vodafone, Idea Cellular, and BSNL at bay. Jio is gradually inching towards other markets, including the highly anticipated DTH sector in India. Last week, it was reported that the hype around the launch of Jio DTH went into wrong hands and was exploited to lure people into a big scam. Reliance Jio is, however, unlikely to launch the Jio DTH service anytime soon. Jio DTH, as is being floated around on Internet, has been in news since last year after some alleged pictures of its set-top box emerged. Earlier reports suggested the Jio DTH set-top box is still in the testing phase where the company is experimenting to add features such as catch-up TV, Android platform, and voice-enable setup. The images leaked online last year showed off the device with no authenticity that they belonged to Reliance Jio’s DTH services. The remote control that was leaked along with the set-top box image looked similar to the one for Google Chromecast, hinting towards its false legitimacy. While the images were convincing enough to make us believe that Jio DTH could be a reality, there hasn’t been any announcement from Reliance Jio related to its plans for DTH services in India. Reliance Jio was previously said to have confirmed that it is not planning to introduce its DTH services in India anytime soon, according to a report by Gizbot. 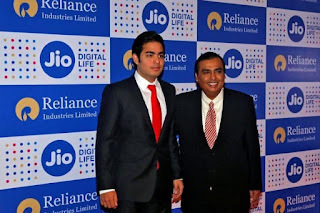 However, on the request by FinancialExpress Online, Reliance Jio declined to comment on the development. It said that it can’t either confirm or deny the report of a launch of Jio DTH service in India. The Jio DTH set-top box has been rumored to come with support for Amazon Fire TV stick, Google Chromecast, and Android apps via Jio store and Google Play store. It was said to come with 16GB of onboard storage along with support for an external hard drive up to 2TB capacity. 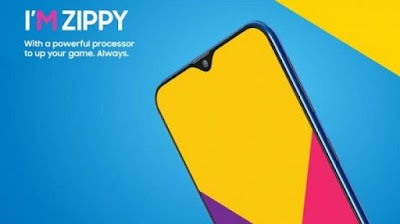 The design of the Jio DTH resembles that of Google Home while the connectivity options were rumored to include Wi-Fi, Bluetooth, LAN port, HDMI, and SPDIF port. The features are identical to the Airtel Internet TV that is touted to convert your regular TV into a ‘Smart TV’. It is worth mentioning that some swindlers are exploiting the hype created by Jio to blindly draw people into their scam that dupes them of their money. The SMS being circulated is fake and does not belong to Reliance Jio. The SMS contains a link that opens a website, which looks quite similar to the actual Jio website, except for the https secured protocol and non-functioning payment options.